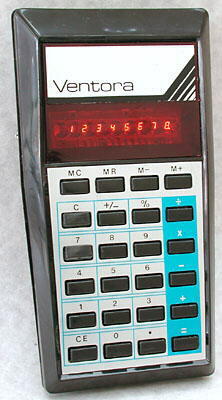 By the mid 1970s the components for calculators were mass-produced and basic calculators had become very cheap. 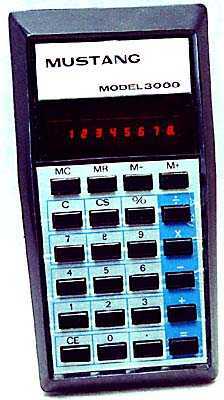 This model was one of the cheapest and was sold under many names. It was even given away as an advertising item. 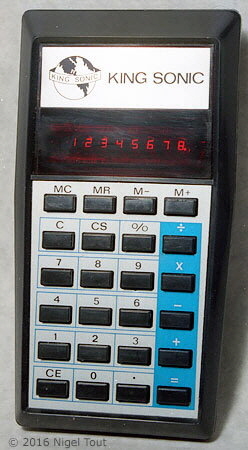 Below are photographs of a few of the many versions of this "Standard Type 1" calculator. 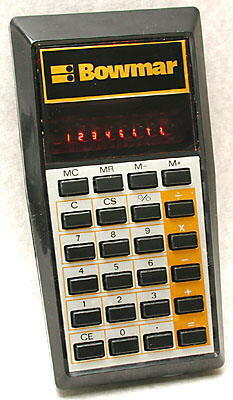 Distinctive features: A popular, low-cost model, sold under many names. 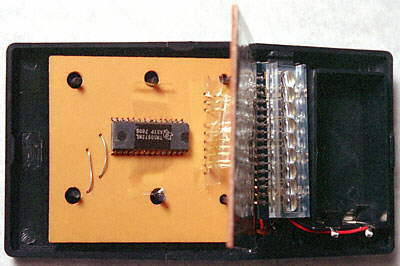 Integrated circuit - Texas Instruments TMC0972 or TMS0972. 69 x 133 x 24 mm (2.75" x 5.25" x 0.95"). 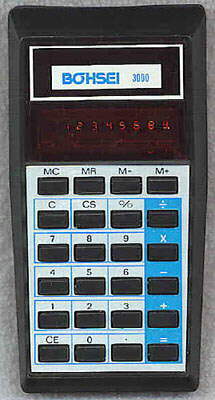 King Sonic - a typical "Standard Type 1" calculator. 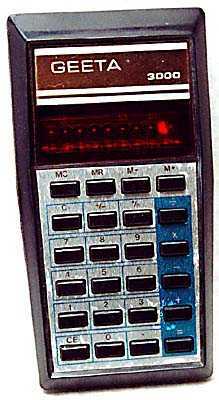 Showing the electronics of this type of calculator. 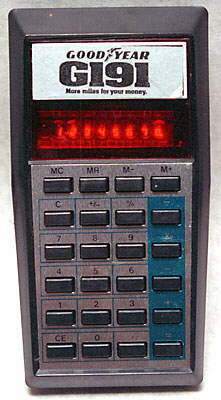 By now there is a just a cheap keyboard, the Texas Instruments TMS0972NL integrated circuit (here date coded to early 1978) and the 8-digit LED display array. Photo courtesy of Gene Sederholm. 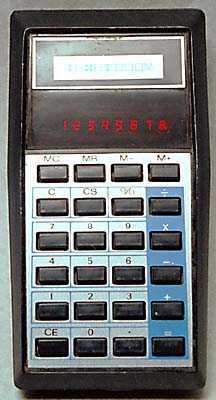 A calculator advertising Goodyear tyres - by now calculators were cheap enough to be given away as promotional items.